Avolina is the Title name of a Group of Export oriented RMG companies with sustained goodwill. 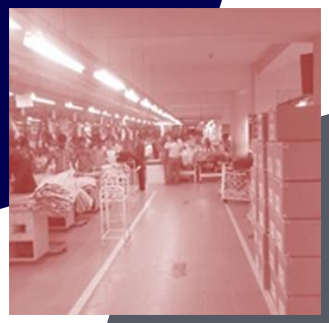 We have highly disciplined and qualified setup that is specialized in manufacturing & sourcing of all types of Knit & woven items for Men, Women & Children’s of all ages. Our service touches in all aspects of Textile & Fashion wear. Our Total business turnover in US dollar aprox 5.00 million per year .We mostly exports apparel in E.U & USA markets. Avolina employs qualified management team, proficient team of Merchandisers, Production Planners, qualified quality Inspectors, Commercial experts, HRD & social Compliance team, Finance officials, IT specialists etc. The mission of Avolina is caring customer’s satisfaction on top of anything. Avolina is dedicated to serve perfectly as customer thinking & requirements. We always ensure customer expectations by incessant quality improvement and everlasting assurance as regards environmental and social issues. Avolina also wish to provide its great services to apparel customer who wishes to jointly work & treat us as his local representative office. We analyze stylish deigns as latest fashion trend. Our marketing experts ready to provide feedback customer queries within justified time by 24 hours. Avolina is committed to afford quality at the highest level & never compromises with quality .It have earned immense reputation as a maker of quality products. Our own quality team work with each process & strict on quality control measures. Where each product has to go through a series of thorough scrutiny .It tries to make products that not only meet buyers required criteria but also gives customers total satisfaction about its quality management system. We partner factories maintain health, safety, & corporate responsibility issues. We strictly follow customer code of conduct as well as social compliances issues. We ensure right price, right quality and on time delivery. We believe in building long term valued business partnership. We recruit and retain right people in right position. They must be educated, experienced, capable and ethical. We treat them with dignity and fairness. Building partnership through mutual trust and respect. We Work together in delivering common goals. Business must make sound profit with reasonable growth in every year.